Daily work, you will use the U disk, used to copy data, or meetings, travel, etc. are very convenient to use. But careless operation will cause the things in the flash drive to delete, in the Recycle Bin can not find the deleted things, USB disk Delete restore How to do? 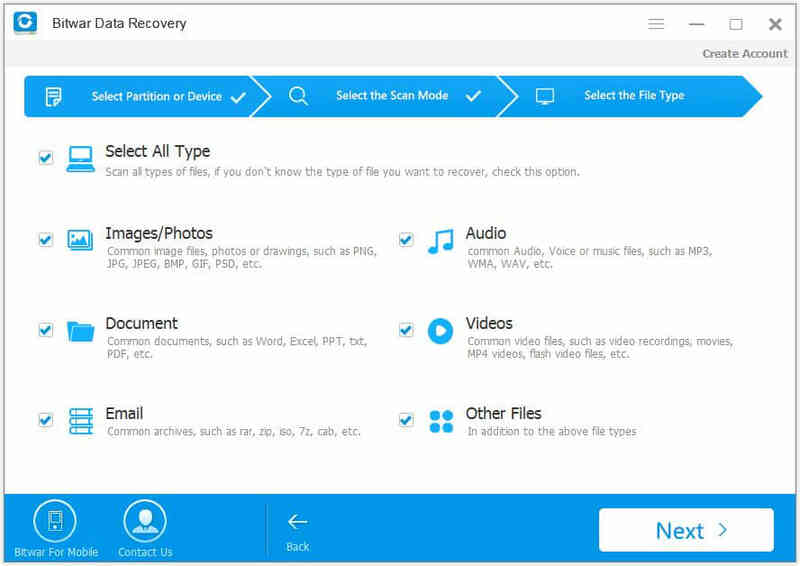 You can use USB flash data recovery software. Then how to delete the things in the flash drive to recover? Take a look at the specific procedure. 1.Click the download Bitwar Data Recovery software, choose the installation location to install the software on the computer. 2.The USB disk will be inserted into the computer, waiting for the computer to identify the device, running Bitwar Data Recovery software, access to the main interface of the software, we are because of the contents of the USB flash drive deleted, so choose the "U Disk/Memory card" function. 3.Select the USB drive to be restored, then click "Next" to enter the file scan status, please be patient and wait for file scan to finish. 4.After the software scan is complete, in the scan results interface in the left menu list to select the format to restore, and then you can see the Format folder on the right side of the contents of the file, find the USB Flash file you want to restore, you can first double-click the preview, and then in the box before the file check, then click "Restore." 5.Select the location to save the file, restore success! Summary：USB flash drives are widely used devices that are smaller, faster, more durable and reliable, but larger in capacity. However, if you accidentally formatted it and you own a Mac, how to unformat a usb on Mac?